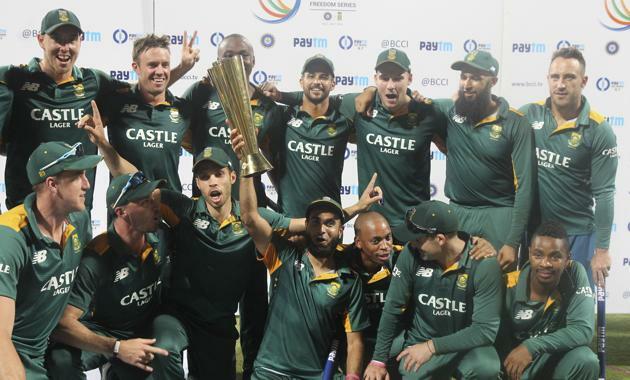 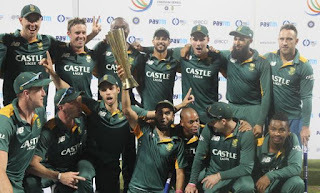 South Africa won the first ever ODI series in India against India on Sunday 25th October 2015 by beating India in fifth ODI by 214 runs. 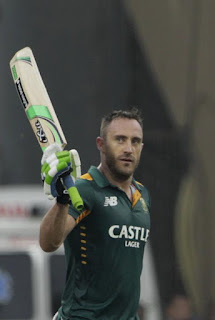 South Africa won the series by 3-2. in last ODI South African batsmen destroyed Indian bowling line and scored 438 runs in 50 overs with help of centuries by Kock, Du Plessis and AB de Villiers. 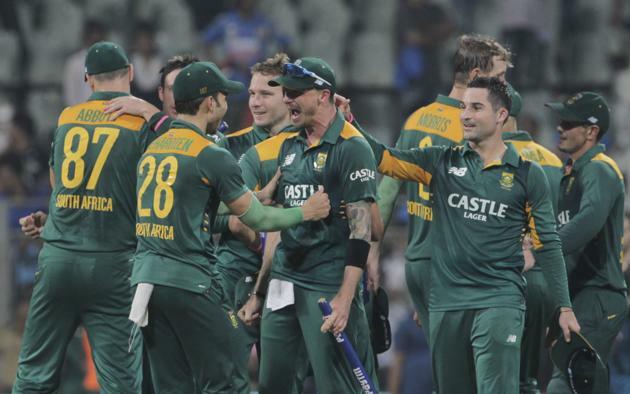 Indian batting line flopped while chasing the big target and got all out on 224 in 36 overs. 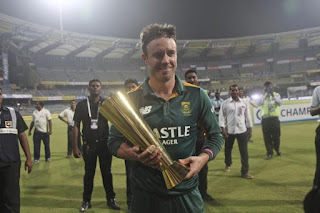 AB de Villiers was declared player of the series.